Ignite your leadership genius through the science, technology and art of Lucrative Leadership Conversations. 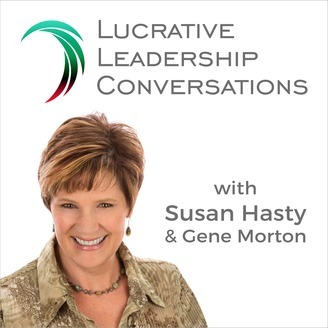 Each week, Susan Hasty, Gene Morton, and their guests share practical wisdom and actionable advice you can use as a leader to build a profitable and sustainable organization. McKinsey Consulting conducted a 10-year research study where they found that top executives reported being five times more productive when in a state of Flow. If we could increase the time we spend in Flow by 15-20% (by increasing Flow triggers), overall productivity in the workplace would almost double, researchers found. From his bio: STEVEN KOTLER is a New York Times bestselling author, and award-winning journalist. His articles have appeared in over 70 publications, including: New York Times Magazine, Wired, Discover, Popular Science, Outside, GQ, and National Geographic. Kotler is also the co-founder and director of research for the Flow Genome Project, an organization dedicated to decoding ultimate human performance. 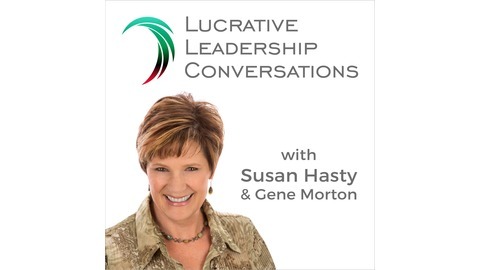 In this episode of the Lucrative Leadership Podcast, Gene and I explore several of these Flow Triggers and how the Six Bold Steps of the Leaders First process can outline a structure to achieve Flow. While Flow has been proven to be a powerful ally in the world of business leadership, very few leaders understand how to achieve it. The 6 Bold Steps create a structure where Flow triggers are allowed to flourish. Below is a summary of the 6 Bold Steps with the corresponding Flow triggers. In Step 1, leaders agree to step up their game and own their personal responsibilities. This requires the hard, often painful, work of examining their beliefs and behaviors. To lead together, leaders have to agree to protect the organization’s best interest, even at the expense of their department. Flow is achieved when the task or responsibility is slightly beyond your comfort zone or skills. When leaders step up to the responsibility at hand, they must find the balance between tasks which are too difficult (causing anxiety) and those which are too easy (causing boredom). Leaders can more easily achieve a Flow state by structuring the environment in which they work. By creating environments that are unpredictable and complex, it can actually work at increasing Flow. How? If you do not know what to expect in your environment, you pay more attention to what is happening next. If we are forced to calculate a lot of information coming toward us quickly, it forces us to be more attuned to the moment. Risk means the potential to fail. Creativity increases with a greater risk of failure. When leaders step up to their specific responsibilities, the potential for failure increases, which in turn increases the amount of creativity and innovation. In step 2, they craft a common language, sustainable statements, which we call critical outcomes. Outcomes express the core competencies aligned with the organization’s strategic vision and the customer’s expectations. Flow happens only when teams are 100% clear on their shared goals. Shared goals have a dual purpose: Open for creativity, yet focused enough to achieve a solution. Teams can more easily achieve Flow when they use common terms and language. Each member of the team must work from the same knowledge base to avoid confusion. Confusion kills Flow. When team members are on the same page, it leads to momentum. Momentum leads to Flow. Step #2, defining outcomes, is critical in getting everyone headed in the same direction. In Step 3, leaders negotiate who, on the leadership team, will have the primary accountability for designing and executing each outcome. Risk and survival are positive factors when it comes to achieving Flow. When danger is involved, our sense are heightened. This response works in favor of finding a Flow experience. By granting and accepting accountability (Bold Step 3), an element of danger is created. When accountability is granted, the leader is also granting a sense of control to that team member. When a team member accepts accountability, they are stepping into the control they have over a critical outcome. Accountability and a sense of control encourages both autonomy and competence. In step 4, - Working together, the leaders begin an intuitive process to collaborate and design a structure they are able to support and explain to others. Leaders decide their roles for each outcome and agree how and when communications occur that define future and past actions and decisions. They create the first drafts of the reporting structure. Flow is the direct result of intense concentration over a long period of time. Focused attention, as opposed to multi-tasking, leads to high levels of Flow. Flow requires one singular area of deep focus. Once a leader’s role has been determined, they are able to give the full attention to this area. Flow is best achieved when team members share equal roles in the project. Team members need to have a similar level of skills. You don’t want to mix the “professionals” with the “amateurs.” Step 4, integrating roles, helps in getting the right people at the table and achieving Flow within the team. In step 5, engaging the entire organization in ongoing discussions improves the design. Conversations serve to clarify and reinforce the meaning of the outcomes that make the organization sustainable. An effective reporting structure and feedback loops (Step 5) helps to focus team members on what is important and maintaining concentration on the project. This type of concentration can be seen in the sporting world, where it is necessary for the demands of a fast paced sport. Like a time out during a stressful game, constant feedback loops can help keep the team concentrated at the task at hand. According to Kotler, “nothing blocks flow more than ignoring or negating a group member.” When leaders spend quality time on designing an effective reporting structure, good communication can be achieved among team members, leading to Flow. In Step 6, tracking performance is used to discover the best practices for the delivery of each outcome to the customer. Immediate feedback is related to defining clear goals, according to Kotler. In the Leaders First process, creating a successful performance tracking system (step 6) ties all the way back to defining the organization’s critical outcomes (step 2). By providing opportunities for immediate feedback, it focuses attention on goals and outcomes, leading to Flow. Flow should be the goal of any leader who wants to achieve extraordinary results in business and in life. Flow is the roadmap to discovering greater clarity, focus, accountability, and commitment in your organization. Kotler’s 17 triggers are an excellent way to achieve Flow in the workplace. However, leaders may find the implementation process difficult. The 6 Bold Steps of the Leaders First process allows leaders to create a structured framework in order to implement these Flow triggers into a team environment. To learn more about the 6 Bold Steps, the Leaders First process, or about the BOLD Leader Flow Project, contact Susan Hasty to schedule your appointment.